When you are looking for a self storage facility, we understand that affordability, convenience, cleanliness, and comfort are all of the items at the top of your list. That’s why Metro Self Storage offers all of these things and more. 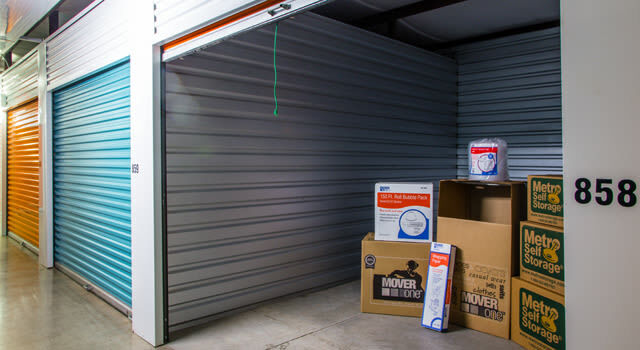 With a wide selection of climate-controlled storage units to choose from that include options for drive-up access, we have the storage solution you are looking for in Amarillo. Small climate-controlled storage units are ideal for things like vinyl records, CDs, DVDs, electronics, musical instruments, and camera equipment. Medium climate-controlled units will hold framed pictures and artwork as well as wood, leather, and upholstered furnishings during a move or remodel. Large storage units with climate control are ideal for household and businesses alike. These units are ideal for temperature-sensitive items including pharmaceutical supplies, documents, and records as well as temperature-sensitive business inventory. Metro Self Storage opened our first storage facility more than 40 years ago and we carry on our proud tradition of making room for people just like you since 1973. The cleanliness of Metro Self Storage of Amarillo and the friendly professionalism of our staff ensure that you have an excellent experience storing with us.